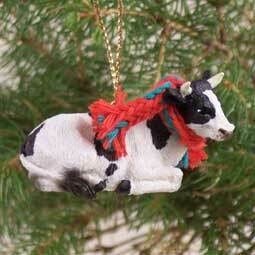 Using our detailed, specie specific, hand painted Tiny Ones figurines; we carefully mount a gold tone eyelet and gold tone cord so you can display your favorite specie anywhere, like your Christmas tree, or rear view mirror. Each figurine is wearing a warm winter scarf, which can be removed in the summer! Individually packaged and labeled, these little decorations are ready to give as a gift for birthdays or holidays, or hang in your store!